We’ve got the best, most loving Father, we could hope for. This is love! Do you know you are loved? You have a purpose! 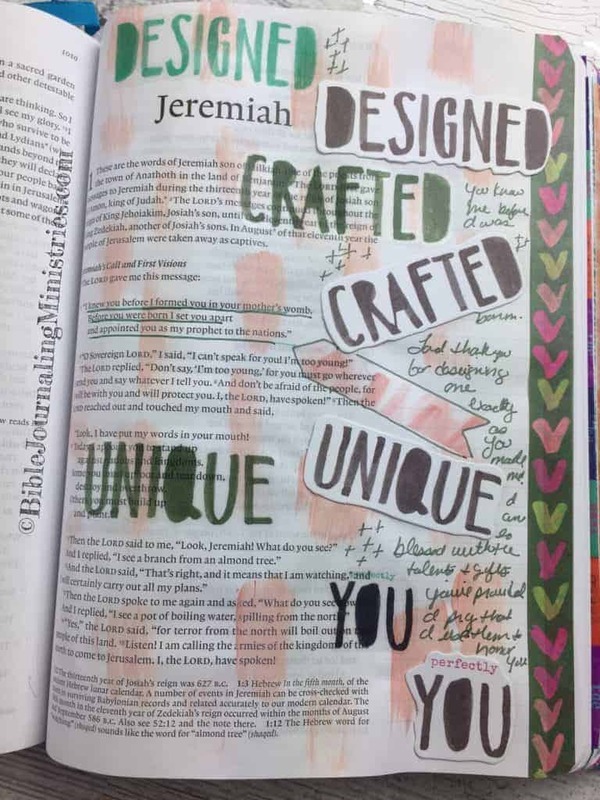 You were lovingly designed as a limited edition, one-of-a-kind, exclusive individual! I know how hard this can be to believe for some, especially if you’ve never experienced the true love of a caring person. The fact is that it’s true – God loves you, and His love is all we need to live happy, rewarding lives. But, sometimes we need gentle reminders, which is why I love diving deep into his Word and soaking in the beautiful Scriptures about his love for me and you. 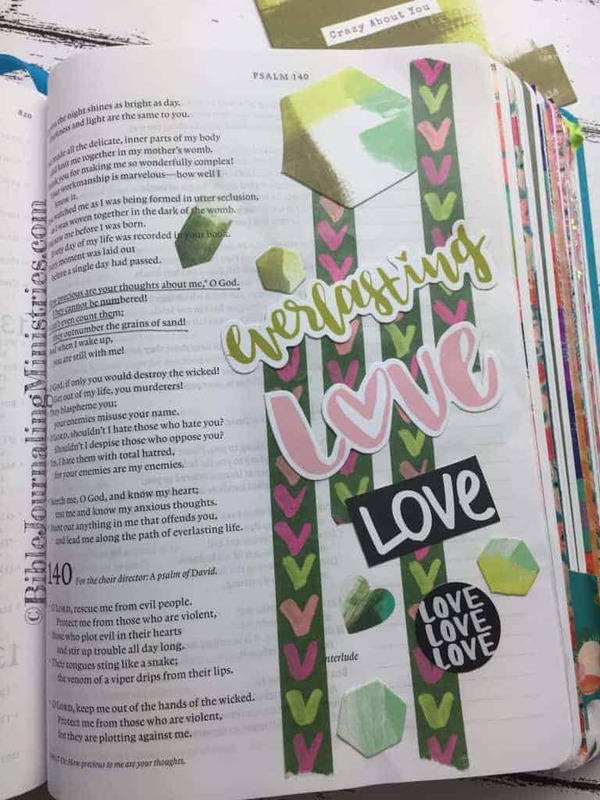 This month I had the pleasure of using the Illustrated Faith This is Love Bible Journaling kit during my devotions. 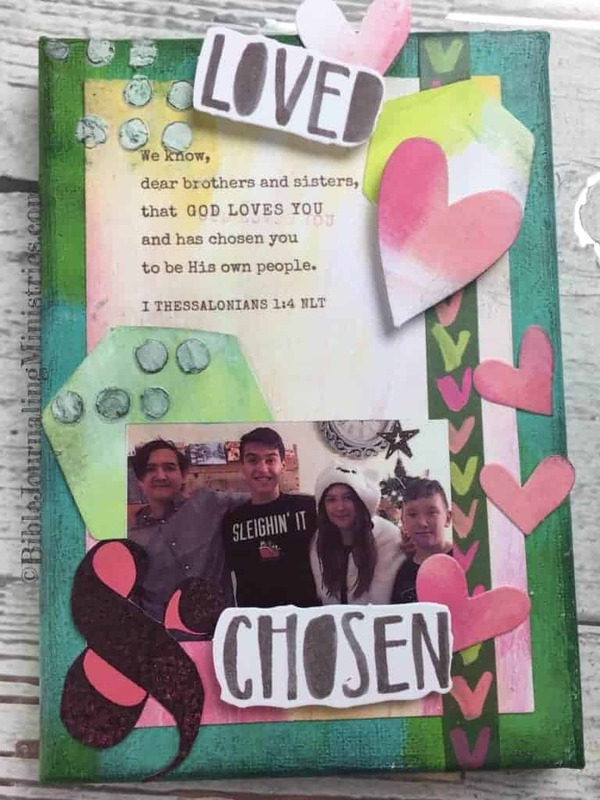 I had so much fun with kit making Bible journaling entries, cards, and a canvas I can display in my living room. 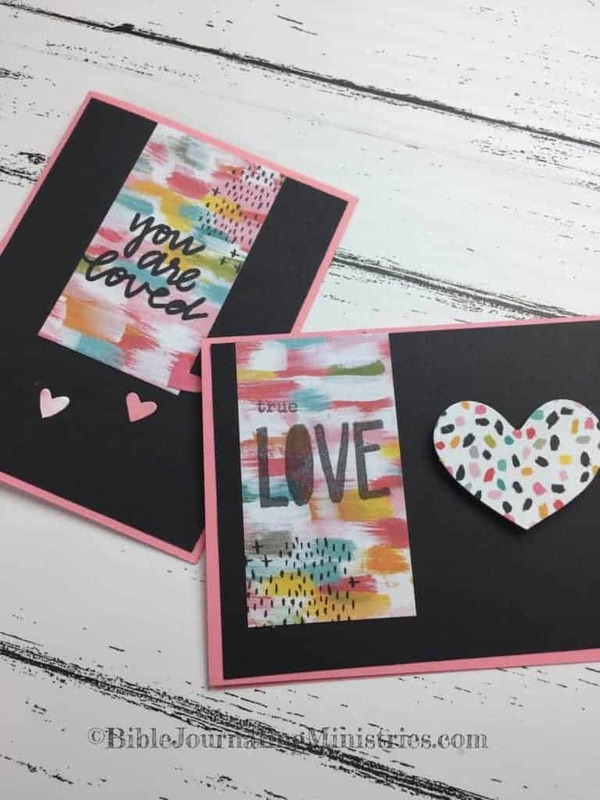 Be sure to scroll down to see all of the fun things I created this month and stay tuned later in the month for tutorials on how to make the cards and canvas! 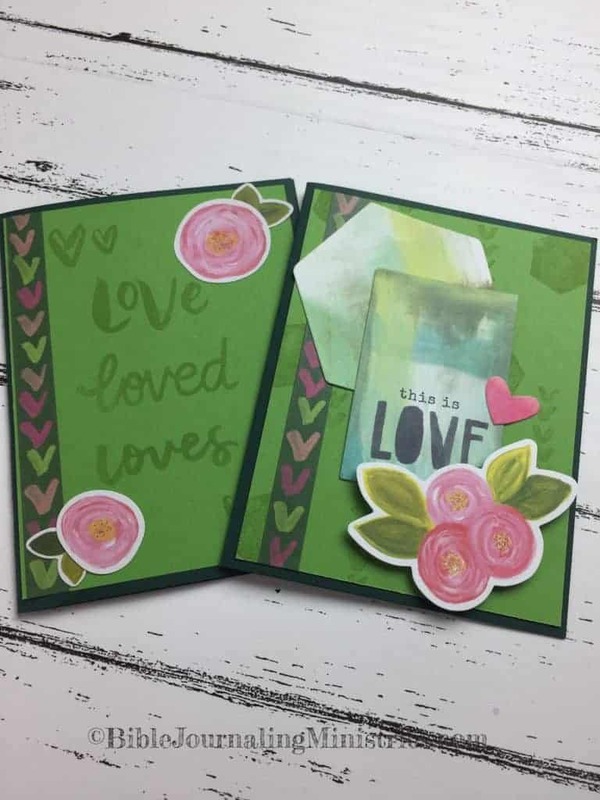 The This is Love kit was provided by DaySpring. It’s so fun being a member of their launch team. Thanks, DaySpring! 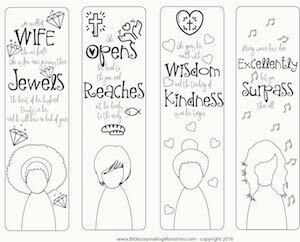 Here’s the ministry affiliate link for those who want to support us while purchasing the kit. Thank you! Click here to purchase and support our ministry. You can purchase them here. They go great with this kit as you can see in the project ideas below. God’s love is pure and unending. It’s an Agape love. God wants a loving relationship with His children, to be the first place we turn to when we run into problems, are feeling fearful or lost and need someone to talk to. God freely provides us with the tools we need to connect with Him. However, there are times when we choose to turn to other alternatives for help, and along the way, we lose sight of God. If you have a teenager, you’ve experienced those moments when they turned away from you – sometimes in a good “growth way” and other times in a rebellious way. No matter what you do, they don’t listen to you. Many of us do the same when it comes to God. It’s at these moments that he tries to get our attention and help us course correct. Let Him love you. 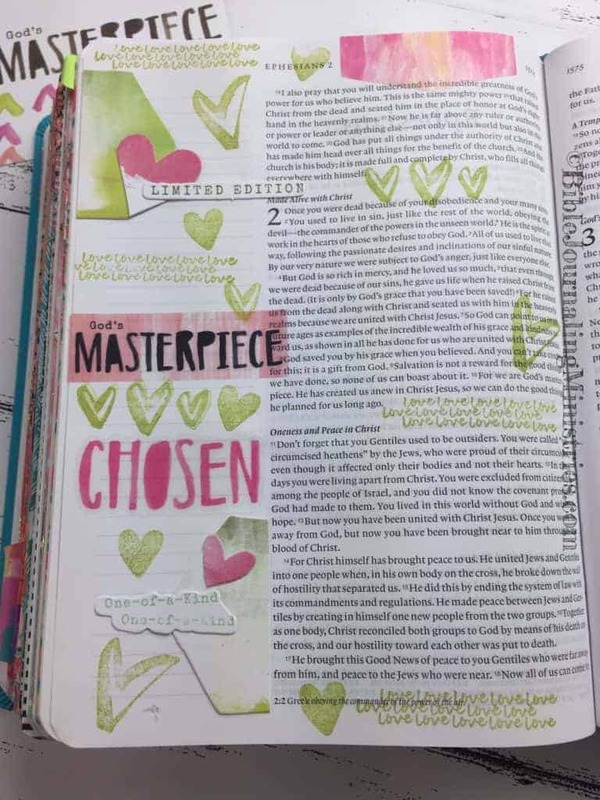 Here are a few of the pages I put together while pondering God’s love and letting him love me. Ephesians 2:10 – For we are his workmanship, created in Christ Jesus for good works, which God prepared before that we would walk in them. John 3:16 – For God so loved the world, that he gave his one and only Son, that whoever believes in him should not perish, but have eternal life. Psalm 139:17-18 – How precious to me are your thoughts, God! How vast is their sum! If I would count them, they are more in number than the sand. When I wake up, I am still with you. How to Know God Loves You? Start with faith. God’s love is perfect and begins with faith. Once you’ve accepted His gift of love, you’ll experience unexplainable confidence, joy and peace, even in the most challenging of situations. It’s hard to explain. It’s almost a supernatural feeling – you just know he’s there with you, walking with you as you forge your way through life. His loving arms will be wrapped around you when you need protection and comfort, or during those times when you’re filled with anxiety. It’s through God’s love that worry, fear, and other painful struggles are washed away. These are things that those without faith can’t understand. Because God loves us so much, it’s a good idea to let others know we care too. 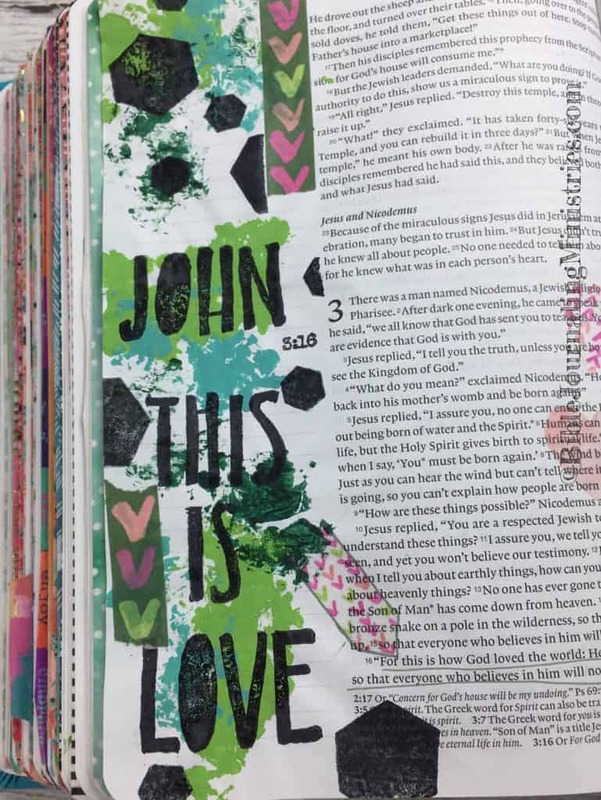 This is Love Bible journaling kit is great for making Valentine’s Day cards. Here are a few cards that I put together in less than 7 minutes each including all of the cutting and folding. Video coming later this month! Surround yourself With God’s perfect love by reading and engaging with God through the Bible. Knowing the Word will bring clarity to your life and future on earth and in Heaven. Don’t just rely on what other’s tell you. Read it for yourself. God delivered His Only Son Jesus to die for us, paying for our sins, to save us from the punishment of hell. If that isn’t pure love, I don’t know what is. Because He’s a loving God, He provided us with the only way to Him. If you ever doubt that God loves you, remember that. To remind myself and my family members that we are chosen, I created a canvas to display in my living room. Tutorial coming later in the month so stay tuned!!! No matter how many mistakes you make or how unworthy you think you are, God still loves you and wants you to turn to him for guidance. If you haven’t made a connection with God, or have lost faith, it’s time to accept His gift of enduring love. If you do, it will be life-changing. If you haven’t had a chance to pick up this kit, I would highly recommend you do so. If finances are tight this month, remember you can join our Overflowing Love devotional study for free until the end of the month.